This looks like very important meeting. This may not be just a joke. Many times meeting are boring. They are just formalities and we don’t want to attend them. Guess what?? We have to.. So far I have been 2-3 times into such an incidence and it was hard to move from there. 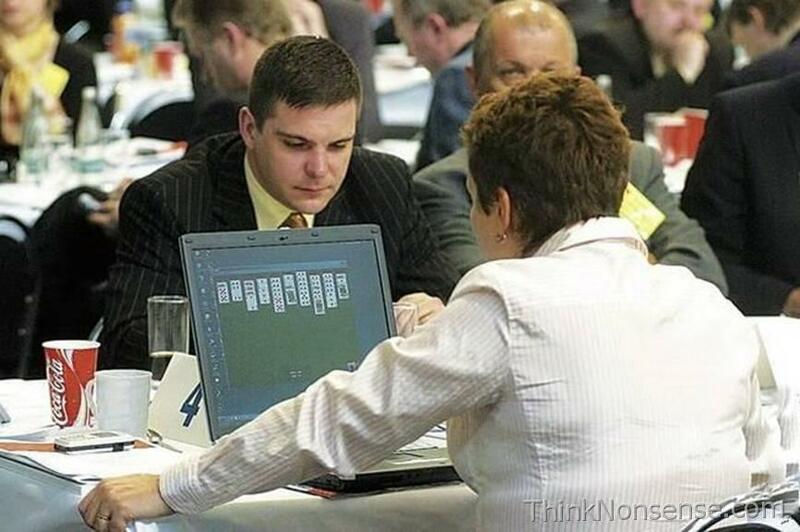 I wished it was a meeting like this were I could at least play solitaire. I’ve been to a few boring meetings that it would have been nice to be playing video games in. This is a very cool picture!